Amasya (Greek: Ἀμάσεια) is a city in northern Turkey and is the capital of Amasya Province, in the Black Sea Region. Tokat from east, Tokat and Yozgat from south, Çorum from west, Samsun from north. The city of Amasya (Turkish pronunciation: [aˈmasja]), the Amaseia or Amasia of antiquity, stands in the mountains above the Black Sea coast, set apart from the rest of Anatolia in a narrow valley along the banks of the Yeşilırmak River. Although near the Black Sea, this area is high above the coast and has an inland climate, well-suited to growing apples, for which Amasya province, one of the provinces in north-central Anatolia Turkey, is famed. It was the home of the geographer Strabo and the birthplace of the 15th century scholar and physician Amirdovlat Amasiatsi. Located in a narrow cleft of the Yesilirmak (Iris) river, it has a history of 7,500 years which has left many traces still evident today. In antiquity, Amaseia was a fortified city high on the cliffs above the river. It has a long history as a wealthy provincial capital, producing kings and princes, artists, scientists, poets and thinkers, from the kings of Pontus, through Strabo the geographer, to many generations of the Ottoman imperial dynasty. With its Ottoman-period wooden houses and the tombs of the Pontus kings carved into the cliffs overhead, Amasya is attractive to visitors. In recent years there has been a lot of investment in tourism and more foreign and Turkish tourists visit the city. During the early Ottoman rule, it was customary for young Ottoman princes to be sent to Amasya to govern and gain experience. Amasya was also the birthplace of the Ottoman sultans Murad I and Selim I. It is thus of great importance in terms of Ottoman history. Traditional Ottoman houses near the Yeşilirmak and the other main historical buildings have been restored; these traditional Yalıboyu houses are now used as cafes, restaurants, pubs and hotels. Behind the Ottoman wooden houses one can see the Rock Tombs of the Pontic kings. According to Strabo the Greek name Ἀμάσεια comes from Amasis, the queen of the Amazons, who were said to have lived here. The name has changed little throughout history: Ἀμάσεια, Amaseia, Amassia and Amasia are all found on ancient Greek and Roman coinage and continue to be used in modern Greek. Armenian: Ամասիա, Ottoman Turkish أماصيا, and modern Turkish Amasya all represent the same pronunciation. In 2012, the permanent population of the city was 91,874. The birth rate of Amasya is low, so its population has been increasing slowly. The population varies seasonally, most people are here during the summer tourist season. Situated between the Black Sea and inner Anatolia in a region of fertile plains irrigated by the Tersakan, Çekerek and Yeşilırmak rivers, Amasya lies in a beautiful narrow river valley, bounded by almost vertical cliffs and the high peaks of the Canik and Pontus mountains. Despite the mountainous location, it is not far above sea level. This makes its climate more temperate. Five bridges cross the river, and most of the town lies on the southern bank, spread along the river. The climb up to the higher ground is very steep, making the valley walls virtually uninhabitable. The town is shaped like the letter 'v' as it follows a sharp bend in the river. Archaeological research shows that Amasya was first settled by the Hittites and subsequently by Phrygians, Cimmerians, Lydians, Persians, and Armenians. An independent Pontic kingdom with its capital at Amaseia was established at the end of the 4th century BC in the wake of Alexander's conquests. Superficially Hellenized, the kingdom retained its Persian social structure, with temple priests and Persianized feudal nobles ruling over a heterogeneous village population. In the 1st century BC, it briefly contested Rome's hegemony in Anatolia. By 183 BC, the city was settled by Hellenistic people, eventually becoming the capital of the kings of Pontus from 333 BC to 26 BC. Today, there are prominent ruins including the royal tombs of Pontus in the rocks above the riverbank in the centre of the city. Ancient district in northeastern Anatolia adjoining the Black Sea. Amaseia was captured by the Roman Lucullus in 70 BC from Armenia and was quickly made a free city and administrative center of his new province of Bithynia and Pontus by Pompey. 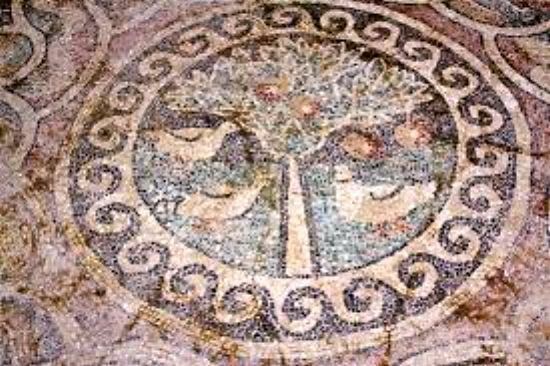 By this time, Amaseia was a thriving city, the home of thinkers, writers and poets, and one of them, Strabo, left a full description of Amaseia as it was between 60 BC and 19 AD. Around 2 or 3 BC, it was incorporated into the Roman province of Galatia, in the district of Pontus Galaticus. Around the year 112, the emperor Trajan designated it a part of the province of Cappadocia. Later in the 2nd century it gained the titles 'metropolis' and 'first city'. After the division of the Roman Empire by emperor Diocletian the city became part of the East Roman Empire (the Byzantine Empire). At this time it had a predominantly Greek-speaking population. Saints Theodore of Amasea (died by 319), a warrior saint, and the local bishop Asterius of Amasea (died c. 410), some of whose polished sermons survive, are notable Christian figures from the period. In 1075, ending 700 years of Byzantine rule, Amasya was conquered by the Turkmen Danishmend emirs. It served as their capital until it was annexed by the Seljuk ruler Kiliç Arslan II. Under the Seljuks and the Ilkhan, the city became a centre of Islamic culture and produced some notable individuals such as Yaqut al-Musta'simi (1221-1298) calligrapher and secretary of the last Abbasid caliph who was a Greek native of Amasya. Schools, mosques, tombs and other architecture of this period still remain. After being incorporated into the Ottoman Empire under Sultan Bayezid I, Amasya grew in importance as a centre of learning, the children of the Ottoman rulers being sent here for their education. As part of their preparation for future rule they were given the position and responsibility of governor of Amasya. Future sultans from Beyazid I in the late 14th century through to Murat III in the 16th were schooled here and held the position of governor in their youth. Between 1530 and 1545, several travelers documented a blood libel against some of the town's Jews. After the disappearance of a local Christian, several Jews living in town were blamed for killing him for ritual reasons. The Jews confessed under torture and hanged. When the supposed victim was discovered to still be alive, Sultan Suleiman the Magnificent ordered that all accusations regarding religious rituals should be judged under "royal" and not local court. In 1555, Amasya was also the location for the signing of the Peace of Amasya with the Safavid dynasty of Persia. In 1919 Amasya was the location of the final planning meetings held by Mustafa Kemal Atatürk for the building of a Turkish army to establish the Turkish republic following the collapse of the Ottoman Empire at the end of the First World War. It was here that Mustafa Kemal made the announcement of the Turkish War of Independence in the Amasya Circular. This circular is considered as the first written document putting the Turkish War of Independence in motion. The circular, distributed across Anatolia, declared Turkey's independence and integrity to be in danger and called for a national conference to be held in Sivas (Sivas Congress) and before that, for a preparatory congress comprising representatives from the eastern provinces of Anatolia to be held in Erzurum in July (Erzurum Congress). During the years of World War I and the Turkish War of Independence, the Christian inhabitants of Amasya (Armenian and Greek) suffered from atrocities. Many Armenian civilians fleeing the massacres sought refuge at the American missionary school Anatolia College, located in Merzifon outside Amasya. In 1921, Turkish troops closed down the school, and the local population relocated to Thessaloniki after the population exchange between Greece and Turkey. Amasea became the seat of a Christian metropolitan bishop in the Eastern Roman Empire, in particular from the 3rd century AD. As capital of the Late Roman province of Helenopontus, it also became its Metropolitan Archbishopric and included the suffragans of Amisus, Andrapa, Euchaitae, Ibora, Sinope, Zaliche and Zela. In the 10th century the metropolis ranked 11th among the metropolises of the Ecumenical Patriarchate of Constantinople. From the 12th century the local Christian element was reduced due to the Turkish invasions of Anatolia. The Orthodox metropolis of Amasea was active until the Population exchange between Greece and Turkey (1923) and in 1922 counted c. 40,000 Christians, 20,000 of them being Greek speakers. Last active metropolitan bishop was Germanos Karavangelis. No longer being a residential diocese, Amasea is today listed by both the Eastern Orthodox Church and the Catholic Church as a titular see. On 1742.02.15 it was united (as a mere title) with the residential Diocese of Pavia (Italy). In its Turkish version, this classic tale of oriental folklore is held to have taken place in Amasya. The nearby mountain Ferhat is named for Farhad (Turkish spelling Ferhat), the hero of the legend, who for love of the princess Shirin (Turkish spelling Şirin) tried to win her father's favour and permission by tunnelling through the mountain to bring spring water to his palace. Sadly, while he was working he was sent the false information that Shirin had died; upon which he threw himself onto the rocks in his grief. And his beloved princess died soon after. The story has since become a play by Nazim Hikmet, a novel by Talip Apaydın, and an opera by Arif Melikov. Amasya has a hot-summer Mediterranean climate (Csa) under Köppen classification and a hot summer oceanic climate (Doa) under the Trewartha classification. Also, Amasya is warmer than central Anatolia, and its weather is not as cold in winter months. It has a transitional climate between the oceanic climate of the Black Sea and a continental and Mediterranean climate. However, this narrow valley causes Amasya to have a temperate climate. This effect is due to the Yeşilirmak river that moderates its climate. The province of Amasya is known for producing high-quality, small, well-flavoured apples. The Amasya-Tokat region the main area of production. The city is not so developed industrial terms, but is attractive and well-preserved, especially when sitting by the river, which has a particular mystique on a winter evening when fog fılls the valley. Tourists (and soldiers from the local base) contribute valuable income to the shopkeepers. The railway line from Sivas to Samsun runs through Amasya, and there is an attractive Ottoman-era railway station. 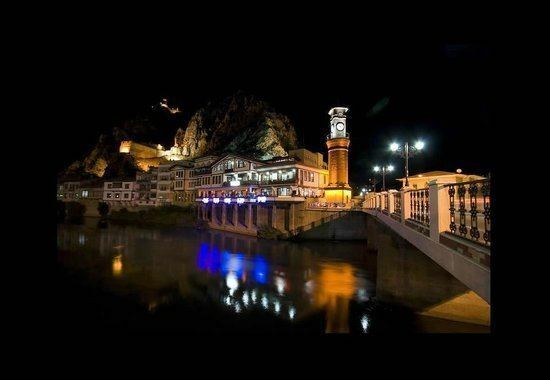 The city of Amasya has some nightlife, mainly bars and cafes for visitors, and some basic restaurants. It is not a very conservative city, unlike other central and eastern Anatolian cities. Social life in this city, partly owing to tourism, becomes more animated especially during the summer period. Many international circus groups visit this city. June 12 is a festival date for Amasya during this time, with many cultural and sporting activities on offer. The local cuisine includes the local specialty toyga çorbası, a soup containing yoghurt, drunk hot or cold. Other specialties include pastries with poppy seeds and tea, served by the riverbank. There is an airport in the district, open for civilian flights since 2008. Previously, it was used only for military purposes. There are daily one-hour flights from/to Istanbul. Tourism has been increasing. In 2011, there were 500,000 tourists, 11,000 foreign; in 2012, 600,000, 22,000 foreign; in 2013, 750,000 total; 1 million are projected for 2014. Foreign tourists are mostly Germans and East Asians, notably Japan and South Korea. In consequence, many hotels, especially boutique hotels, are opening. Many traditional Ottoman wooden houses have been restored and are now used as boutique hotels, cafes, bars. The ruins of the citadel on the rock face of the cleft shelters 2000-year-old water-channels, 1000-year-old bridges, a mental hospital, an OttomanPontus kings, which contribute very much to the attractiveness of the city. At night, when they are illuminated, the view is unforgettable. Palace and a secret underground passageway. On the rock faces there are impressive rock tombs. The city also has many historically and architecturally precious buildings; the Ferhat water channel, the 13th century Seljuk Burmali Mosque, the 15th century Yildirim Beyazit Mosque and Complex; the 14th century Ilhanli Bimarhane Mental Hospital with lovely relieves around its portal, the extraordinary octagonal Kapi Aga Medrese (theological school), the Torumtay Mausoleum and the Gök Medrese. There are traditional Turkish mansions which have been well-preserved showing the best examples of Turkish architecture. 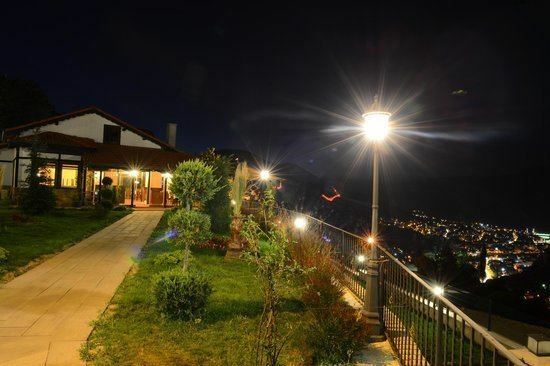 The 19th century Hazeranlar Mansion has been restored perfectly and now it is of great interest with an art gallery on its first floor and an ethnographical museum on the second. The Archaeological Museum of Amasya has an interesting collection including the mummies of the Ilhanli rulers of Amasya. On the rock of Harşena above the town is the terraced site of the royal palace and the tombs of the kings of Pontus (illuminated at night) which, although not kept in the best condition, are an impressive sight from the town. There are 5 unit tombs placed at slope of Amasya Castle that all are engraved on the lime stone rocks which rocks extended like a straight wall With the construction and location properties they take attention at the first sight Their surroundings engraved until they completely separated from the main rock, than they reunite to the main rock with stairs There are some ones large and some ones small totally 18 rock tomb units present The famous geographer Strabon (BC 63 - AC 5) whom born at Amasya, delivers an information that Rock tombs was belonged to Pontus Kings. AynalıCave (Rock Tomb) is approximately three kilometres away from city centre, and on the way of Ziyaret district which way separated to the right from surrounding high way towards Samsun It is the best- decorated and completed tomb among other King Rock Tombs. At the vault section there are six pictures on each right and left walls, which figure out 12 disciple And there are some figures that include men and women on the west and east walls, although there is a composition figure contains the Jesus, the Virgin Mary and Disciple on east wall. 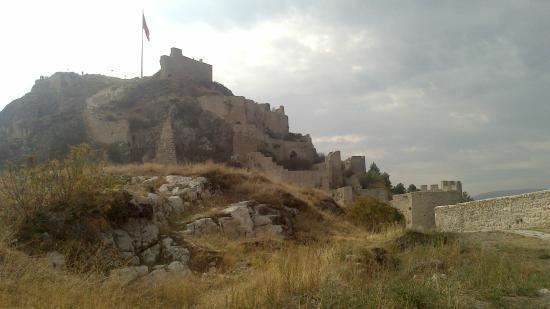 Harsene Kalesi – A fortification, mentioned by Strabo and largely rebuilt in medieval times also lies in ruins on a rocky outcrop above the town. And in the district of Nerkis lies some remainsN of another castle, Enderun Kalesi. It is placed on precious rocks named Harşane mountain at the west of Yeşilırmak river and city centre There are 4 main gates in castle, which are named Belkıs, Saray (palace), Maydonos and Meydan (Public Square), there is a water well named Cilanbolu in castle too, moreover water hole and dungeon present in castle A laddered under ground way from the castle that reach to 70 meter below river towards the kings tombs dated to the 3rd century BC. The town itself has many historically and architecturally valuable buildings, including the Ferhat aqueduct, the 13th century Seljuk Burmali Mosque, the 14th century Ilkhan Bimarhane Mental Hospital with lovely reliefs around its portal, the tomb of 15th century scholar Pir Ilyas and the 15th-century mosque of Yildirim Beyazit. Unfortunately, Amasya is vulnerable to earthquakes which have damaged many monuments (most recently in 1939). There are a number of well-preserved traditional Ottoman Turkish mansions, some of the best examples of Turkish domestic architecture. The 19th century Hazeranlar Konağı has been carefully restored and includes a small art gallery and ethnographical museum. Other wooden houses are being restored as hotels and guest houses. Hazeranlar Mansion Hazeranlar mansion is the most beautiful mansion at Yalı boyu (across the waterside residence) houses series Mansion is one of the most elegant civil architecture samples of Ottoman period Mansion built by Defterdar Hasan Talat Efendi for the name of his sister Hazeran Hanım at the year 1872. The Archaeological Museum of Amasya has a large and interesting collection, of artefacts from many eras of antiquity, including the mummies of the Ilkhanli rulers of Amasya. Saraydüzü Casern, this building reconstructed in 2009 and opened. The importance of Saraydüzü Casern is that, Amasya Circular(genelge) was signed in that historical building on 12 June 1919. Atatürk wrote here about Amasya Circular. Building was destroyed. Today, Saraydüzü Casern is war of liberation museum and using for conferences, meetings, speeches etc. Basically, it is used as a congress center. A number of tombs of Muslim saints, yatır, said to emanate healing powers. The sick and dying come to breathe the air and drink the waters of nearby springs. FerhatWaterCanal canal was built at the Hellenistic Period to fulfil city's water necessity, it has approximately 75 width and 18 kilometers long It was built with processes of digging canals based on the balance system, carving some tunnels and bounding brick walls at some places. Sultan Bayezıt II Kulliye (Center): Kulliye constructed in the name of Sultan Bayezit II in 1485 - 86; is composed of mosque, theology school, charitable establishment, monument and şadırvan (water tank with a fountain). It is the advanced final sample of the mosque with side place (L planned) architecture, constructed during the last quarter of the 15th century. There are two minarets of the mosque There are theology school at west and charitable establishment and guest - house at east Old plane trees at the level of both minarets, are estimated to be as old as kulliye. Lake Borabay (65 km northeast of Amasya in the district of Taşova) is a crater lake with an impressive view and fresh air. It is a perfect area for fishing (especially trout), picnicking and sports. Other excursion sites from Amasya include Yedikir reservoir and Omarca National Park. Terziköy thermal spring is one of the most important springs of the province Gözlek thermal spring, Hamamözü (Arkut Bey) thermal spring and Ilısu thermal spring are the other thermal springs of Amasya. Amasya was also one of the Turkish cities which had the best viewing location for the last total solar eclipse of the 20th century which happened on 11 August 1999. Many visitors came to the city to witness this spectacular event. On 29 March 2006, another total solar eclipse was seen in this city at 14:06pm local time. The region's valley structure and this valley structure provide a temperate climate for many fruits growing. City has many agricultural production. Other economic activities in the region include mining, textiles and cement manufacture. Most part of the city's economy comes from agriculture and agricultural products likewise, greenstuffes and fruit production are also important incomes for the Amasya's economy. Villages have economically concentrated relations with districts of Amasya. In recent years, electrical machine production and household tools (ankastre, kitchen tools, exhauster, paddle box), algiculture and woodcraft machines, textile and food industry was developed in the Merzifon district of Amasya. These developments made better city's economy, but still Amasya is not important trade center within the country. Agricultural products of the city mostly consist of those products, apple, cherry, okra, onion, poppy seeds, lentel, bean and peach. In additionally, agro-based industries have an important place for the local economy. Sucrose, dairy products, egg, sunflower oil, provender, flour, yeast are major agro-based industries in Amasya; the industrial products are relatively limited. The most major industries are lime, brick, marble, ankanstre kitchen tools, furniture, lignite coal, metal and plastic industrial products. These products trades domestically and are exported: Marble exporting is considerable for the city's economy. Amasya is the second city in the country in marble exporting. In addition to that, Amasya is under the average of the country which is working in the industry employment. Amasya University was founded in 2006 (before it associated to Samsun University 19 May). It help the city economically develop in a positive way. Amasya is a city on the road of the Europe and Iran international way and it connects Samsun port to the interior regions of the country. Samsun-Sivas railway line passing through downtown of Amasya. Amasya-Merzifon airport opened up in 2008. In related with that, cultural tourism achieved considerable place. 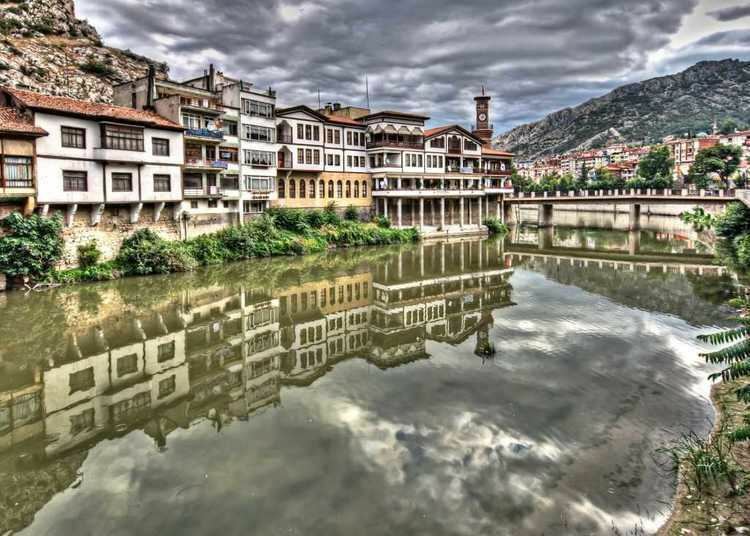 Amasya is the starting point of the Black Sea tours within the country. Cappadocia tours also cover the city of Amasya. 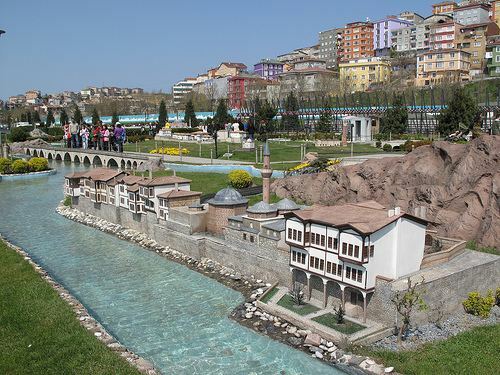 Cultural and Tourism Ministry determined 15 cities which is the trademark cities around the country includes Amasya. These developments also influence economy of the city positively because tourism triggers to other sectors but still the city of Amasya is not where it wants. Having served for many civilizations as the capital city, and for the future sultans of the Ottomans as an academy, Amasya, also known as the City of the Shahzadah, has developed a regal cuisine with characteristic taste, looks and quality. An example of the local food is keşkek, which has always been one of the most popular dishes of the region. Bakla dolması (dolma with a filling of meat and broad beans) is another characteristic local specialty. Cream cakes were another indispensable item in the former palace menu. Local varieties of bread include cherry bread, and slices of stale bread are used to make a dessert called Unutma Beni (which means "Forget me not").